Oleksandr Vlasov will temporarily fill in the role. The Cabinet of Ministers has dismissed acting State Fiscal Service head Myroslav Prodan and announced an open vacancy, acting Finance Minister Oksana Markarova has said. "To avoid a conflict of interest, acting State Fiscal Service head Myroslav Prodan decided to step down voluntarily," she said. According to Markarova, Prodan's resignation was accepted. 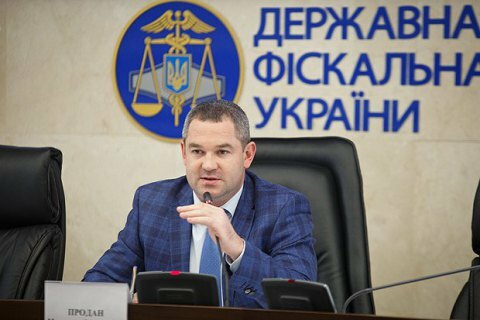 Oleksandr Vlasov was appointed the acting head of the service for the period of job competition. Prodan said on Facebook that he would also take part in the competition for the post. He has been the acting head of the service since 3 March 2017. Former Finance Minister Oleksandr Danylyuk in his farewell speech described Prodan as a "half-legitimate and fully controllable manager".